Jeff Smith is an established businessman with a long career in retail management, training and home building. He was looking at business opportunities to invest in on the side and run his own family-oriented business. His search began by researching a number of traditional retail franchise businesses. Then came the situation where Jeff was getting his hair cut at one place and the wife took both kids to another salon. He wondered why they could not be both at one location - then it hit him - that this is what he was looking for something NEW and where he could combine both men's & kids haircuts at the same location but with separate appealing sections. It was then that Jeff realized there was an unmet need in the marketplace for salons that catered to the whole family – adults and kids alike. And with that, the idea for Just Cut It, a unique concept designed to serve families and their hair-care needs all in one single location, was born. 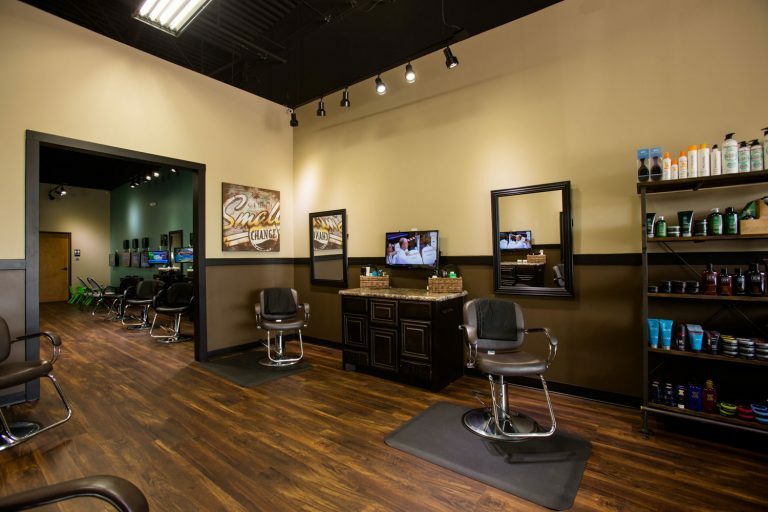 The first Just Cut It location opened in the Fort Worth area in December 2012, and since then has grown to include more conveniently located salons across the Keller/N. Fort Worth area. Now, Jeff and his team are seeking motivated individuals, absentee owners, and professionals who share in his philosophy to always provide great customer service to join this exciting adventure. Learn more about this inspiring family hair-care franchise opportunity! Visit our Frequently Asked Questions page, request more information, or contact us toll free at 517-410-2401 or email us: [email protected]stcutitfranchise.com.